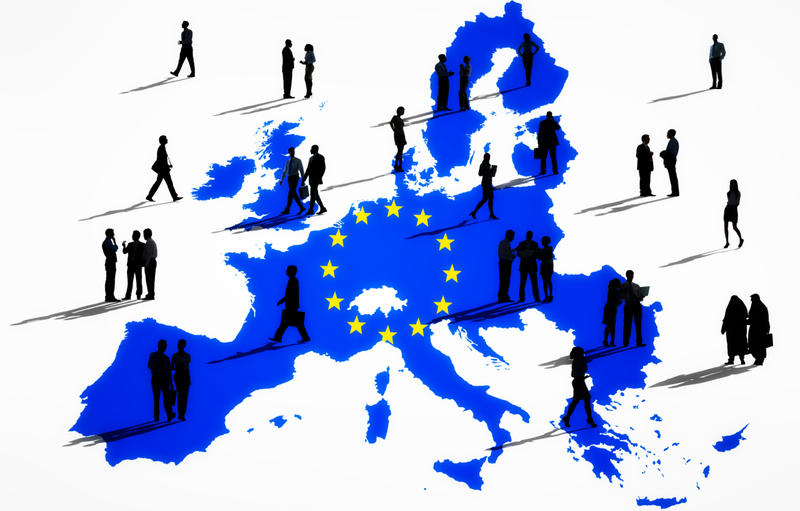 The FINANCIAL -- On 1 January 2016, the population of the European Union (EU) was estimated at 510.1 million, compared with 508.3 million on 1 January 2015. During the year 2015, almost 5.1 million babies were born in the EU, while more than 5.2 million persons died, meaning that the EU recorded for the first time ever a negative natural change of its population. The remainder of the change (positive) is driven mainly by net migration. These figures are issued by Eurostat, the statistical office of the European Union, just before the World Population Day (11 July). During 2015, the population increased in seventeen EU Member States and decreased in eleven. Germany (+11.8‰), Malta (+11.7‰), Sweden (+10.6‰), Denmark (+8.4‰) and Belgium (+7.2‰). In contrast, the largest decreases were recorded in Lithuania (-11.3‰), Latvia (-8.7‰) and Croatia (-8.2‰), followed by Bulgaria (-6.7‰), Greece (-6.0‰), and Romania (-5.6‰). In total, the population of the EU increased by almost 2 million people (+3.5‰) during the year 2015. Accounting for 16.1% of the total EU population at 1 January 2016, Germany continues to be the most populated Member State, ahead of France (13.1%), the United Kingdom (12.8%), Italy (11.9%), Spain (9.1%) and Poland (7.4%). For the remaining Member States, nine have a share of between 4% and 1.5% of the EU population and eleven a share below 1.5%. During the year 2015, nearly 5.1 million babies were born in the EU, 40 000 fewer than the previous year. Across Member States, the highest crude birth rates in 2015 were recorded in Ireland (14.2 per 1 000 residents), France (12.0‰), the United Kingdom (11.9‰) and Sweden (11.7‰), while the lowest were registered in Italy (8.0‰), Portugal (8.3‰) and Greece (8.5‰). At EU level, the crude birth rate was 10.0 per 1 000 residents. There were slightly over 5.2 million deaths registered in the EU in 2015, 286 000 more than the previous year. Bulgaria (15.3 per 1 000 residents) had in 2015 the highest crude death rate, followed by Latvia and Lithuania(both 14.4‰), Hungary (13.4‰) Romania (13.2‰) and Croatia (12.9‰). At the opposite end of the scale, Ireland (6.4‰), Cyprus (6.9‰) and Luxembourg (7.0‰) recorded the lowest. The crude death rate was 10.3 per 1 000 residents in the EU. Consequently, Ireland (with a natural change of its population of +7.7‰) was in 2015 the Member State where births most outnumbered deaths, ahead of Cyprus (+3.9‰), Luxembourg (+3.7‰), France (+3.0‰), the United Kingdom (+2.7‰) and Sweden (+2.4‰). In contrast, among the thirteen EU Member States which registered a negative natural change in 2015, deaths outnumbered births the most in Bulgaria (-6.2‰), Croatia and Hungary (both -4.0‰), Romania (-3.8‰), Lithuania (-3.5‰) and Latvia (-3.3‰).